Images taken during Dripping Springs Troop 101's annual barbecue brisket fundraiser on Saturday May 24th, 2014. Photographs in this gallery are available without fee for editorial use in articles relating to Dripping Springs Boy Scout Troop 101. 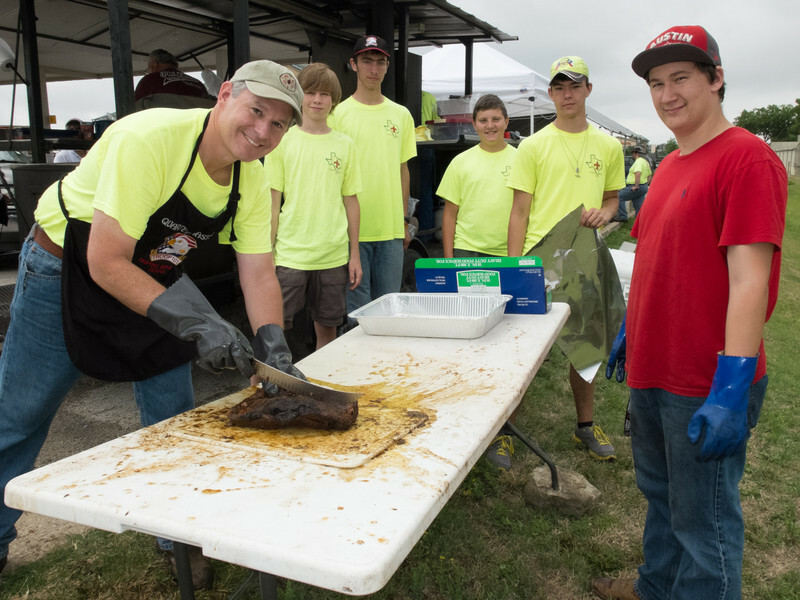 Members of Boy Scout Troop 101 from Dripping Springs, Texas took part in their annual barbecue brisket fundraiser on Saturday, May 24th. This image shows, left to right, Chris Kadlecek, Peter Reid, Chris Lee, CJ Neffendorf, Joseph Kadlecek and Mitchell Cragle.